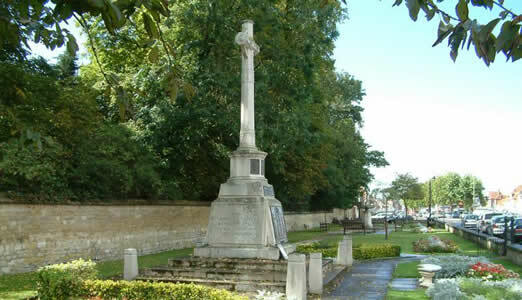 We are pleased to announce that BBC Radio Oxford will be broadcasting live from Thame next Tuesday, 23rd October from 1300 – 1600 as part of the station’s Armistice Day commemorations. Presenter Lilley Mitchell has chosen Thame as the subject of her Armistice Day show and will be recalling the four-year mission of the Thame Remembers project, through which over 300 people from our town have banded together to commemorate the 212 men from Thame who gave their lives in conflict – collectively travelling over 150,000 miles, visiting 102 cemeteries and 31 battlefield memorials, in 23 countries on 4 continents, to leave a special Thame cross as a token of remembrance. This will be a special broadcast for both Thame Remembers and BBC Oxford. They have followed us closely since the very beginning and will now be bookending their coverage as the project nears completion. Lilley will be conducting interviews with the project organisers and members of the community who have played their part in this uniquely ambitious undertaking, as well as exploring Thame and the journey that has been taken over the last 4 years. The programme is live on 95.2FM as well as digital but most importantly, the broadcast team will be live from the War Memorial on the day and everyone is welcome to come and say hello and share their story with them.